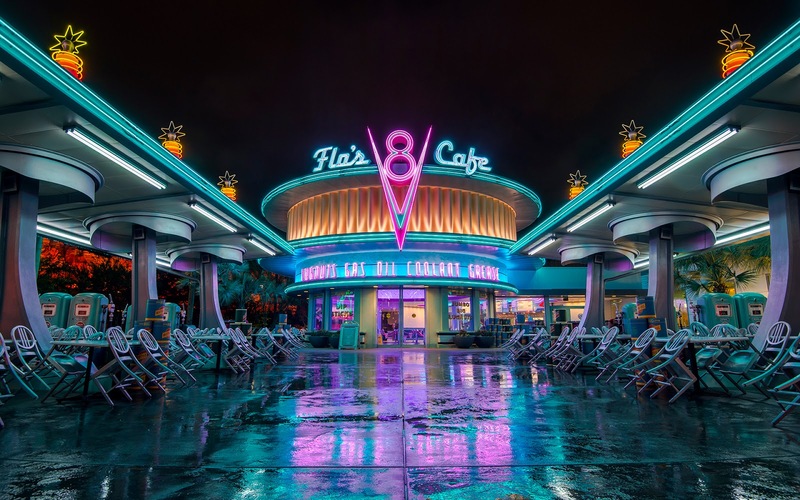 Flo's V8 Cafe is already so naturally photogenic and easily spectacular. It doesn't really need any help on that end. But catch it at night, after a rain storm, and the glamour increases tenfold. The neon reflects off the wet pavement with a lovely glow, and the ever-vibrant colors feel even more amplified by the glistening ambiance. It's so serenely magnificent, isn't it? Flo's V8 Cafe glistens after a spring rainstorm.